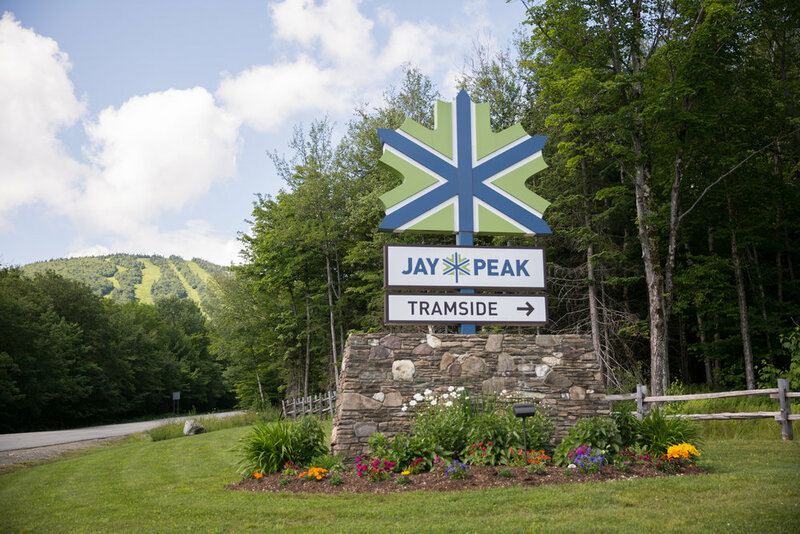 The weather forecasted rain and thunderstorms the entire week of Celia & Mark's July wedding at Jay Peak Resort. You know what they say about Vermont: "If you don't like the weather, wait 5 minutes!" 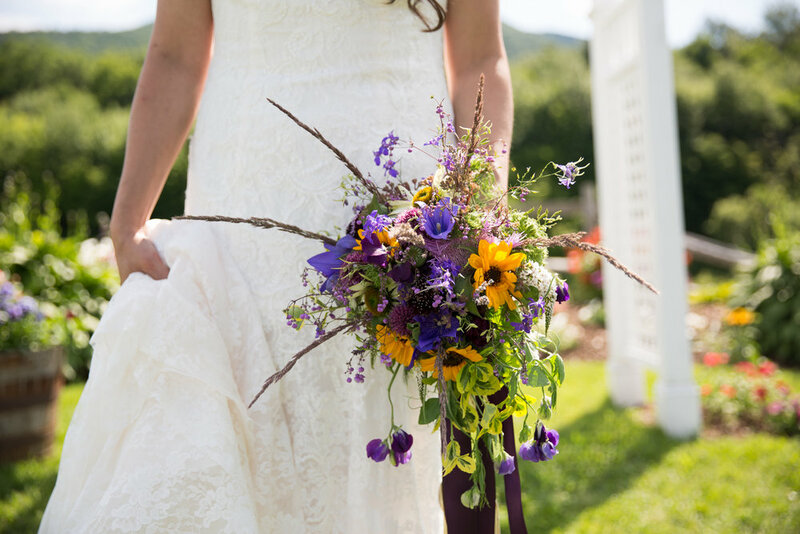 Celia was convinced their ceremony would have to be inside, but Sunday ended up being an absolutely gorgeous day complete with sunshine, blue skies and mountain views! 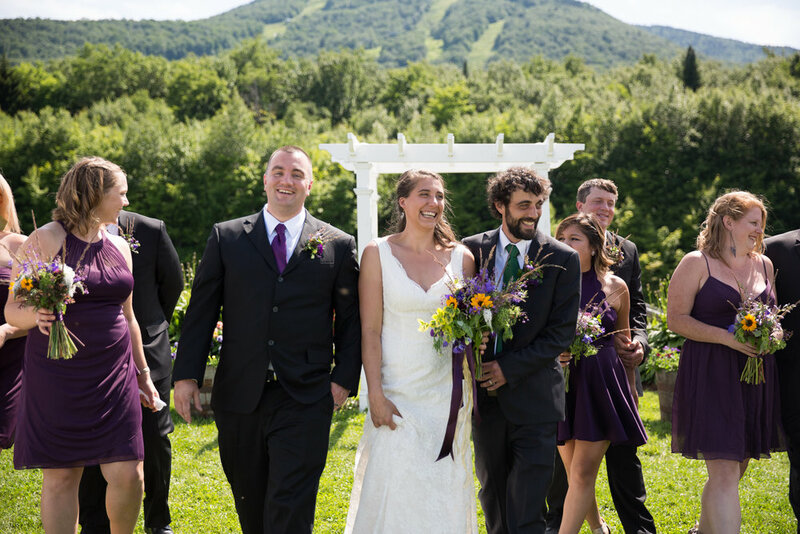 I met Celia & Mark last summer when I started serving at The Bearded Frog in Shelburne, VT. They introduced me to so many new things in the restaurant industry. Mark's creations in the kitchen using local ingredients were not only mouth watering and delicious but were stunningly presented. Celia's knowledge of wine, beer and spirits still blows my mind and I continue to learn something new every time I step into the restaurant. Her hand crafted cocktail menu is exquisite with each ingredient playing a key role in her refreshing concoctions. Celia and Mark make an amazing team at work and in life. 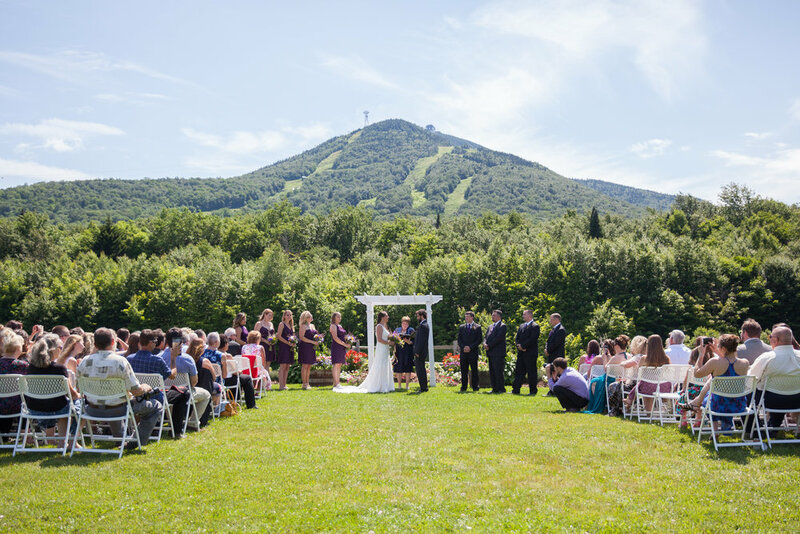 When Mark proposed to Celia on top of a mountain, Libby's Look (down the road from their house), I didn't think I could be happier...Until Celia asked me to photograph their wedding! Mark custom designed her engagement ring with Vermont maple leaves on one side and the French fleur de lis symbol on the other. How amazing and unique?! I am beyond honored to be a part of their special day and capture so many amazing memories for such a special couple. 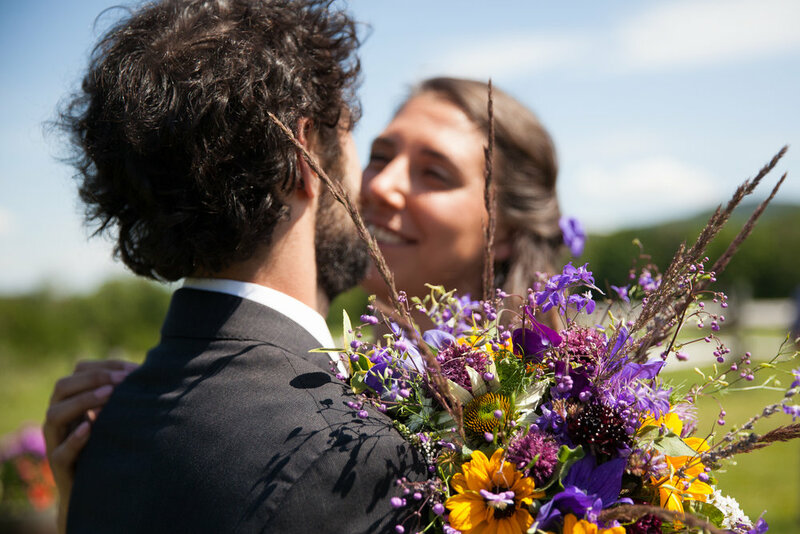 Love radiated through both Celia & Mark's smiles the entire day. The way they look at each other, like no one else matters. Seeing them so happy truly made my heart full.